Deleting Users will unsubscribe this User, so you only pay what you need and can change on a monthly base. TimeTracker Group Edition runs without an own TimeTracker Server ! All collected data is local but can be exported. If you need a real Server at your Backend or want to customize TimeTracker you need TimeTracker Enterprise Edition. 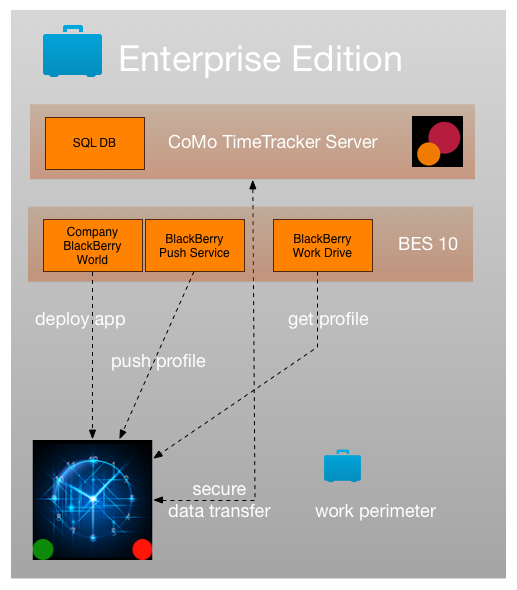 Enterprise Edition runs on BES 10 (hosted or your own) To get more info on TimeTracker Enterprise please contact CoMo – there’s also a Test Installation available for BES 10. You want to try TimeTracker or run TimeTracker for FREE ? Please install TimeTracker Personal Edition in Private Perimeter. Each member of the group will have all features, but settings – are under control of the Group Manager: some parts can be hidden – others read-only. 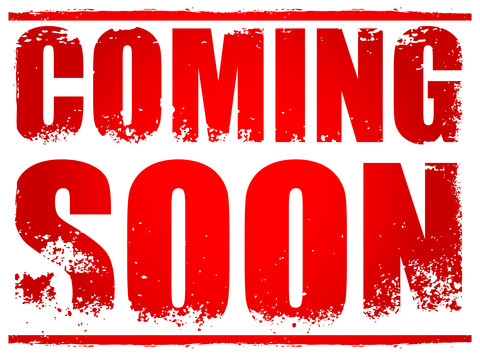 Account Reports will be send via Mail to Group Manager and auto-injected into the TimeTracker Manager APP. Using Cascades Invokation Framework it’s easy to inject data from email. Now if an email comes in with attachment where filename ends with .xxxyyy TimeTracker was automagically opened by InvokationFramework, data contains the sent profile. A Dialog comes up to let the user know what happens and confirm. To add some extra level of security the content is scrambled. Hint: Using the Enterprise Edition and BES10 we don’t need this technic because we have a secure connection to get profiles from BlackBerry Work Drives or using BES Push. ‘Enterprise Edition’ doesn’t mean TimeTracker is targeted to big Enterprise Companies only. TimeTracker Enterprise works well even for 2 or 3 or 5 or 10 employees and is able to scale up to your needs ! Using TimeTracker in Work Perimeter will give you most security ! All transfers between your device and BES 10 Server are encrypted from Point – to – Point. All Settings can be pushed automatically into the TimeTracker APP from BES 10 or can be provided at BlackBerry Work Drive. Settings can be customized for different workflows or user groups, one scenario could be to use strict mode for service emp0loyees out there and free mode for sales department. If a Calendar is connected Dispatchers or Managers immediately will see what their employees are doing out there at Customer site. CoMo TimeTracker Portal and TimeTracker Server are featured in TimeTracker Enterprise Edition, so you can start out-of-the-box. Tracked Data will be transfered automatically from Device to BES 10, controlled and/or edited by Dispatcher and then sent to backend services. If Dispatcher changed some values these will be sent back to the device, so employees know what happened. Dispatcher can see where the work was done: Geo Locations are tracked by TimeTracker and can be displayed on Google Maps. CoMo TimeTracker Server stores data in SQL Database, so it’s easy for you to access the data. In it’s simplest way you’re working on the SQL DB itself exporting to Excel or so. You’re not sure if TimeTracker Enterprise Server is what you need ? Try it out: you can test it 30 days for FREE. TimeTracker data can also be sent to custom REST endpoints – please ask CoMo Solution about the costs to connect to your custom services. Another secure way to store tracked data is to use BlackBerry WorkDrives. BlackBerry WorkDrives map shared network drives so they can be accessed by BlackBerry 10 APPs. 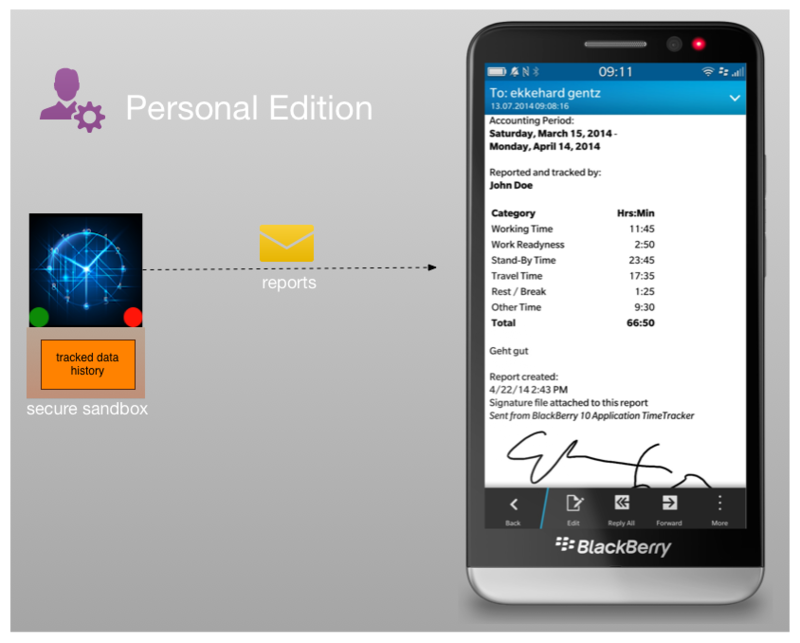 Support of BlackBerry WorkDrives is included into TimeTracker Enterprise edition, so there are no extra costs. TimeTracker then will store the tracked data directly inside these shared network drives and it’s up to you to grab the data. 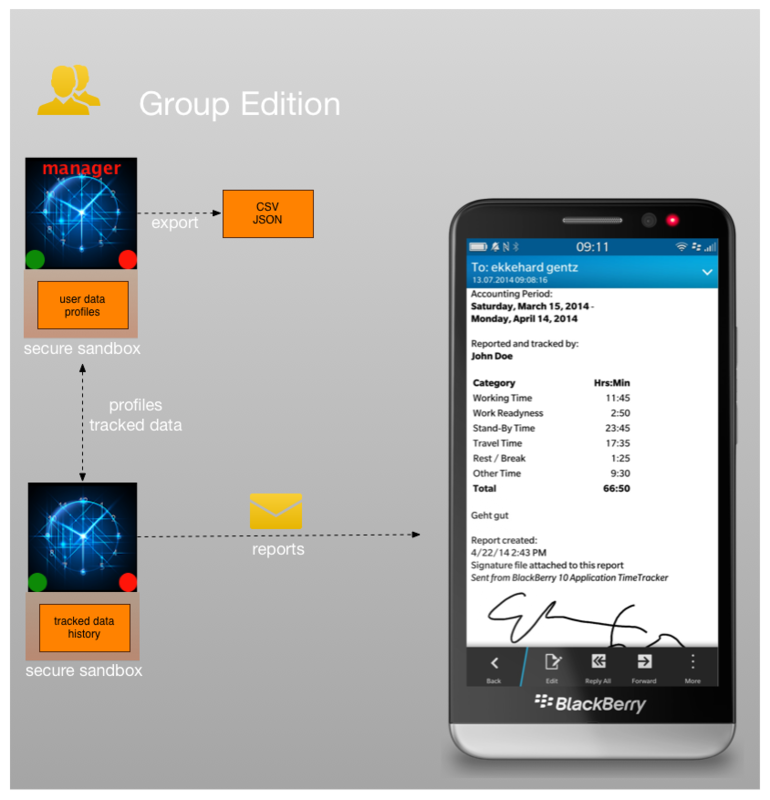 Another use-case is storing profiles for employees on BlackBerry WorkDrives. In this case profiles can be imported by one-click on the file. Using BlackBerry WorkDrives for profiles avoids to have some software pushing them out to devices. It’s up to you if you want to use the TimeTracker Standard Enterprise Edition or if you need some custom features. 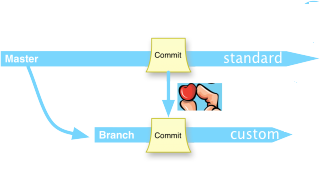 We’re using Git Branches with Git Cherry-Picking to get new features from standard back to custom branches. TimeTracker Enterprise Standard is a full-featured Time Tracking App, but can also be customized and rolled out via a comfortable Company License. If you have questions on this please contact Sales at CoMo Solution.